Susan Bell originally trained as a teacher at St Hild’s College, Durham, before completing a Master’s degree in education at the University of Cardiff. After taking some time out of teaching to raise a family, she invested in a diploma in teaching English as a foreign language and worked in Botswana, Zimbabwe and China. Later, Bell returned home to Durham to concentrate of her writing. Her first novel, A Similar Devotion, was published in 2013. Set in Northern England at the turn of the eighteenth and twenty-first centuries, A Similar Devotion traces the compelling stories of two women separated by time, but brought together through commitment and devotion. 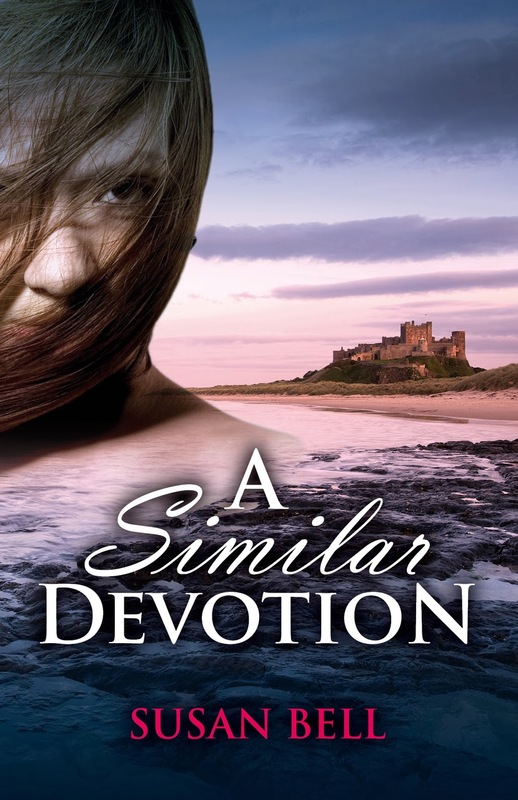 The reader is introduced firstly to Dorothy Forster, a high-born lady living in constant fear for the safety of her brother during the Jacobite revolution of 1715. Fast forward three hundred years and we meet Cathy, a travel agent struggling to recover mentally from a tragedy. Bell’s romantic tale takes the reader on a dual journey through the frustrations and complications of the two time periods, introducing two strong heroines, helped through their journeys by unlikely friendships and, ultimately, love. This demonstrates completely that descriptions needn’t be overly detailed. Bell appeals to the senses: initially, the feel of dewy grass and the smell of the sea, before unleashing taste, sight, and sounds to completely encapsulate the view. The transformative aspect of Bell’s writing transcends far beyond this opening paragraph and into the entire North of England; Bell’s familiarity with the region is evident and flows freely through the text. The book itself is split into two separate sections, interlaced with one another so that the reader is simultaneously following both the story of Cathy and Dorothy Forster. I liked the effect that this had, offering the reader a break from each story for just long enough to make them wonder what is happening back in the present day, or vice versa. Bell succeeds in keeping the setting of each story separate without making the text awkward. The present day is expressed through a contemporary style, while the Jacobite revolution necessitates the use of more archaic language. The effect of this is not as jarring as one might imagine and allows the reader to move seamlessly between the two worlds rather than being dragged from one century to the other. The two stories initially link to one another when Cathy, befriended by a kindly doctor, Jack, begins researching Dorothy Forster and the Jacobite revolution as a therapeutic means of dealing with her feelings. Research becomes a method of escapism, giving her something new to focus on, and her sensitive mind clings to Dorothy’s story, beginning to imagine a happy ending for the eighteenth-century heroine. After doing a little bit of research into the Jacobite revolution myself, I was delighted to find that Dorothy Forster was a real person. I find something very rewarding in historical fiction. My research didn’t go as deep as Cathy’s, of course, but I can relate somewhat to her frustrations as much of what is immediately available on the Forsters is shrouded in suppositions. I found that Dorothy was described as the ‘darling’ of the Jacobite uprising of 1715, and is today rumoured to haunt the hotel in which Jack and Cathy stayed, the Lord Crewe Arms, apparently waiting for the return of her brother. The lovely thing about really successful historical fiction such as this is being able to take away a newfound knowledge of a snippet of history. Before reading A Similar Devotion I was completely unfamiliar with the Jacobite revolution; reading about it in this way was enjoyable and interesting. Bell also slips the odd interesting fact into the story – I was particularly pleased to take away the knowledge that people from Newcastle are often referred to as Geordies due to their allegiance with King George during the Jacobite revolution. Cathy wishes for a happy ending for Dorothy, because she wants it for herself, and, in the same way, she finds her own happy ending by discovering Dorothy’s. Overall, I found A Similar Devotion to be a very satisfying read. Its slightly niche style and blend of modern romance and historical fiction is really fantastic. The story itself, while idealistic in some respects, feels believable. In both stories, loyalty to one man leads to the love of another, and both love stories require compromise on the part of both partners. Despite all that separates Dorothy and Cathy from one another, they share a similar devotion to a loved one and learn a similar lesson: that love has a power to heal wounds and draw happiness from the most devastating situations. Many thanks to Sacristy Press for sending me out a free review copy of the book.